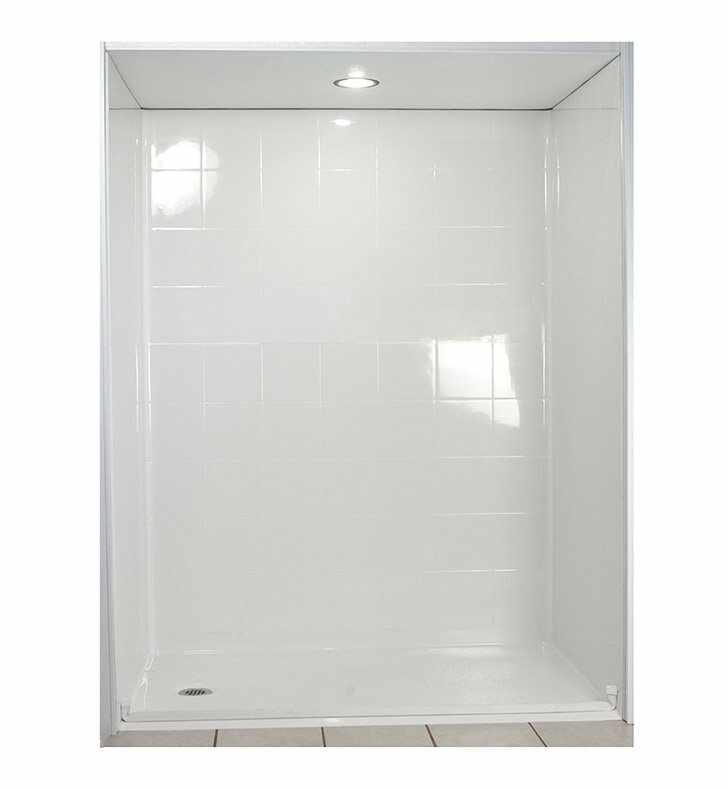 About Ella 6033BF5P-STD1.0L-BN Standard Barrier Free Roll In Shower Kit - 60" x 33"
The Ella Standard Barrier Free, Roll In 60" x 33" Shower (5 Piece) is manufactured using premium marine grade gel coat fiberglass which creates a smooth, beautiful, long lasting, anti-slip shower surface. 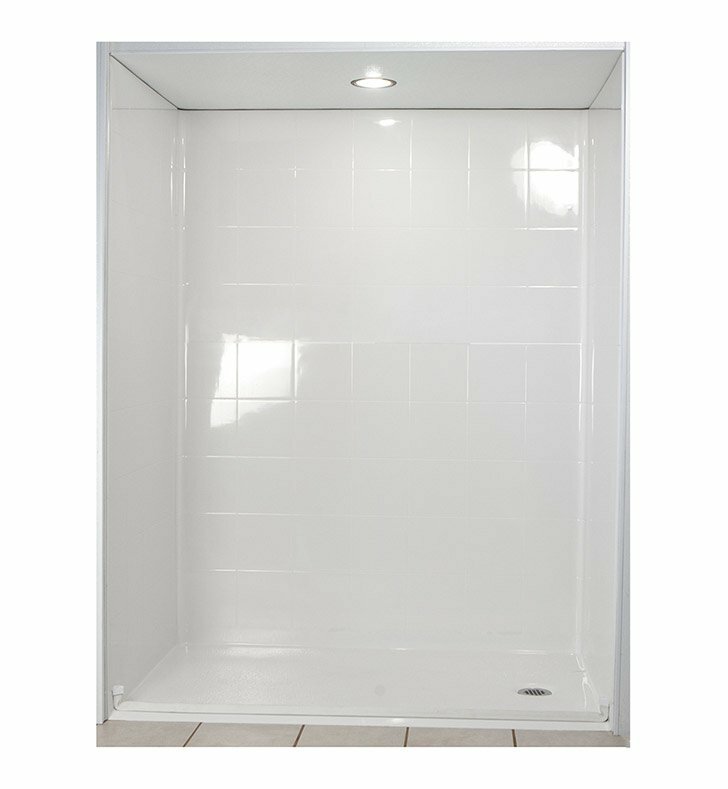 Ella Standard Roll in Showers also known as Barrier Free Showers, are constructed using wood and steel reinforced walls providing flexibility for seat and grab bar custom installation. The integral self-locking aluminum Pin and Slot System connects shower walls and the pre-leveled shower base to allow for easy front side installation. Once the multi-piece unit is assembled the precision fit seams become grout lines which can be nicely finished with caulk. **Due to panel materials, sizes may vary.